Arjuna grew up behind the Berlin Wall and followed an academic career until taking his first Vipassana course in 1998, which made him realize what there really is to explore – the essence of who we ultimately are beyond all appearances. 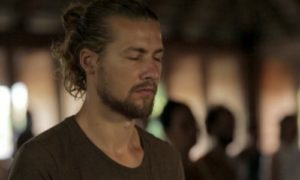 Getting into Yoga soon after and studying different styles while traveling the world for twelve years gave rise to the vision of establishing a spiritual education center. This has now manifested for him and his wife Arpita in the shape of the serene Mahadevi Ashram, surrounded by lush tropical jungle and set in an ancient and picturesque volcanic crater, right by one of the most beautiful lakes in the world – Lago Atitlan in Guatemala. Arjuna feels inspired to reach out into the lives of ‘normal people’ to offer a sustainable alternative view of life, the universe and everything to experience every moment as a limitless opportunity for growth and insight. 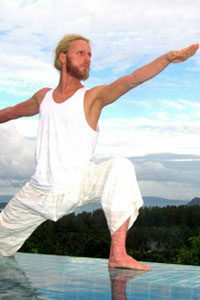 A particularly strong influence for him has been the tradition of Bhakti Yoga – the Yoga of Devotion. He loves to share and take part in all manner of chanting circles.